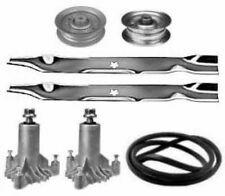 46 Mower Deck Rebuild Kit Fits Sears Craftsman GT3000 Blades Pulleys Belt (116)"
Husqvarna Sears Craftsman YTS3000 Lawn Mower Tractor Steering Shaft & Hardware! Sears Craftsman DLT2000 Lawn Mower Steering Shaft & Gear! MTD Cub Cadet 1517 Lawn Mower Tractor Hydro-Gear 311-0710 Automatic Transaxle! Sears Craftsman YTS3000 Lawn Mower Tractor Steering Sector & Links! Sears Craftsman YTS3000 Lawn Mower Tractor Complete Hood & Grille Assembly! These tires are classics! Tread Depth (mm): 7.1. Rim Width (in): 7.00. We recycle! Max Load (lbs): 1190. Our team works hard to find you the best deals and provide you with a wide selection of products. Sears Craftsman 36", 38" and 42" cut ventilated deck using star shaped center hole blades. Craftsman: 127843, 131323, 133128, 134149, 138498, 138791, 138971, 139775, 24676. HUSQVARNA 36", 38" and 42" cut ventilated deck using star shaped center hole blades. 128285, 130794, 133172, 137641, 137645, 532128285. SUPRCEDES PART # 9040H 13359 M123811. Kit comes with Oregon Mulching Blades! AYP: 174883. AYP: 134149, 422719. Craftsman: 134149. Craftsman Requires 2 for 42" deck. Husqvarna: YTH1542XP with 42" deck. Belt Application: Deck. AYP Requires 2 for 42" deck. Blade Replaces OEM#. LT2000, 13AL78ST099 (247.288851) (2011). LT2000, 13AL78ST099 (247.288852) (2012). LT2000, 13AL78ST299 (247.288860) (2011). LT2000, 13AL78ST299 (247.288861) (2012). LT2000, 13BL78ST099 (247.288853) (2013). (1) 148" x 5/8" Deck Belt - Replaces Sears 196103. (3) 18-1/2" OEM BLADE 187256 may sub 187254. 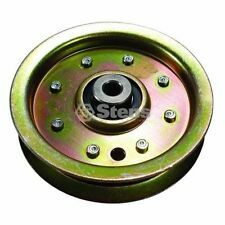 (3) Spindle Pulleys - Replaces Sears 153535. 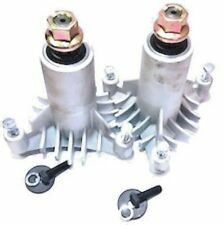 (3) Complete Spindle Assemblies - Replaces Sears 187292. 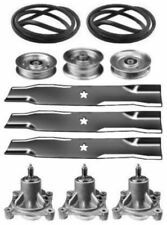 Sears Craftsman 54" Lawn Tractor Mower Deck Rebuild Kit. AYP: 196103, 53219610. AYP: 187254, 187256. AYP: 187292, 192870, 532192870. AYP: 129861, 153535, 173436. Craftsman: 33155. Belt Application: Deck Belt Type: Covered Width: 5/8" Length: 147 1/2". AYP 46", 48" and 54" decks. Sears Craftsman 36", 38" and 42" cut ventilated deck using star shaped center hole blades. HUSQVARNA 36", 38" and 42" cut ventilated deck using star shaped center hole blades. AYP 36", 38" and 42" ventilated deck using star shaped center hole blades. AYP: 174883. AYP: 134149, 422719. Craftsman: 134149. Craftsman Requires 2 for 42" deck. These blades are original Oregon Blades. Husqvarna: YTH1542XP with 42" deck. Belt Application: Deck. AYP Requires 2 for 42" deck. Brand New Genuine Husqvarna Fuel Line Kit... We are an Authorized Husqvarna Dealer (HOP, Poulan, Poulan Pro, Sears Craftsman, AYP, Roper etc)... Fuel Line Kit Genuine Husqvarna Part # 530069599 Fits Specific Husqvarna, Poulan, Weedeater & Sears Craftsman Equipment Genuine OEM Husqvarna Part Please Note: Does not fit all specs of above models listed, please make sure this fits by model, type and serial number of your equipment. Up for sale is a pair of Sears Suburban tractor GT18 tie rod assemblies. The 2 most popular belt top width sizes are ( 1/2" ) and ( 5/8", also known as 21/32" ). To ensure you are ordering the correct belt for your machine. We would be more than happy to correct any issue. Replaces Sears / Roper / AYP Suburban Part # New Ignition Key Switch w/ 2 Keys. Made by Indak. 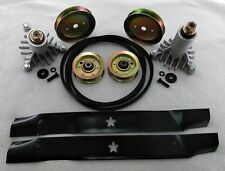 LT3000 42" Mower Deck Rebuild Kit Spindles Belt Pulleys. 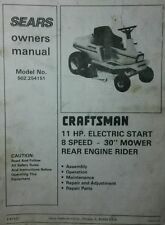 sears craftsman husqvarna. (2) 21" Blades - 532134149/TOR 6125. 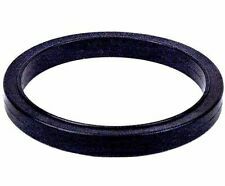 (1) 95-1/2" x 1/2" Deck Belt - 532174883/TOR 5128. Up for sale is a Sears Suburban Hydrotrac tractor transmission oil pan. Fits Paramount, Craftsman, Sears. Heat treated & painted. 1-3/4" Center to Center. This is a heavy duty link. Looks like one end has been welded, but looks good. Really good condition. band has little to no wear on it. 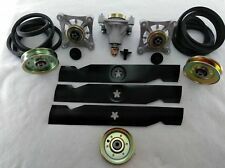 NEW CRAFTSMAN WALK BEHIND LAWN MOWER SELF PROPEL FRONT GEAR DRIVE MOWER WHEELS # 84925. MSRP OF 49.99. THESE ARE FOR OLDER STYLE MOWERS. WE ALSO HAVE THE DRIVE ROLLERS THAT DRIVE THESE WHEELS. LET US KNOW IF YOU NEED THEM. 574455401 Models GT200, GTH200, GTH220, LT120. 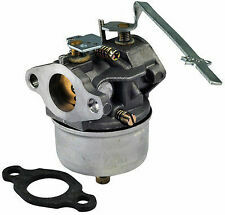 Ignition Starter Switch Replaces 140301, 532140301. 5/8" Mounting Stem. In good working condition, has standard two prong plug. Fits many yard and garden tractors with a 1 1/8” crankshaft. Part # 5215-73. 13261, 197257, 408714, 435111. AYP 435111. Stens 290-803 Clutch Cable. Stens Clutch Cable. Inner Wire Length FITS MODELS 532 43 51-11. Conduit Length. Craftsman: 24603, 33935. Land Pride: 831-053C. Thread Size: 3/4"- 16. Briggs & Stratton Vanguard engines small version filter; pressure lubrication engines. California Prop 65 - This product can expose you to certain chemicals, which are known to the State of California to cause cancer or birth defects or other reproductive harm. Sears Lawn Mower sticker in new condition. US buyer only. 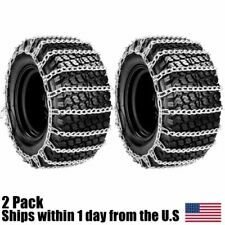 Buyer pays $3.99 shipping. Pair of Front Spindles. Get your machine back running again. Sold as is, as found as shown. PART # 137078S. NEW SEARS V BELT. 5255A59 (1999 & Before). 5155A59 (1995). 4V582B (1999 & Before). 4V582A (1999 & Before). 4P472A (1999 & Before). 4M472C (1996). Sent to the resolution center. If we made an error, the very best way to get it taken. not responsible for any loss or injury as a result. that has been found by the manufacture to be defective. Also, if you have notes. It fits all listed: SEARS SUBURBAN SS-12. Up for sale is a Sears Suburban tractor GT18 plastic battery tray insert. Refer to part number Murray, Sears, Craftsman: 24064, 024064, 024064ma. 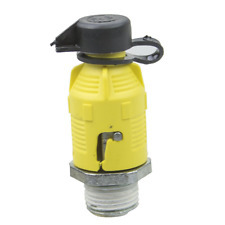 NEW gas cap gauge for many riding mowers. WE ARE THE "GO TO" PLACE FOR PARTS! EXPERIENCE YOU CAN TRUST! BIN # b1 ac12. Sears Belt # 157767 Kit. Shipped with USPS First Class Package. Tecumseh part # 640256. 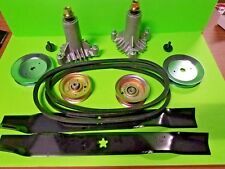 Up for Sale is a New Genuine Tecumseh carb overhaul kit. Starter Sears Craftsman Lawnmower Briggs & Stratton engine. Craftsman part number is 695550. Briggs and Stratton part number is 799045. Tested and works as it should. Condition is Used. Shipped with USPS Priority Mail. Initial shipping and handling fee is not refundable on returns.